The mosque as seen from the west. 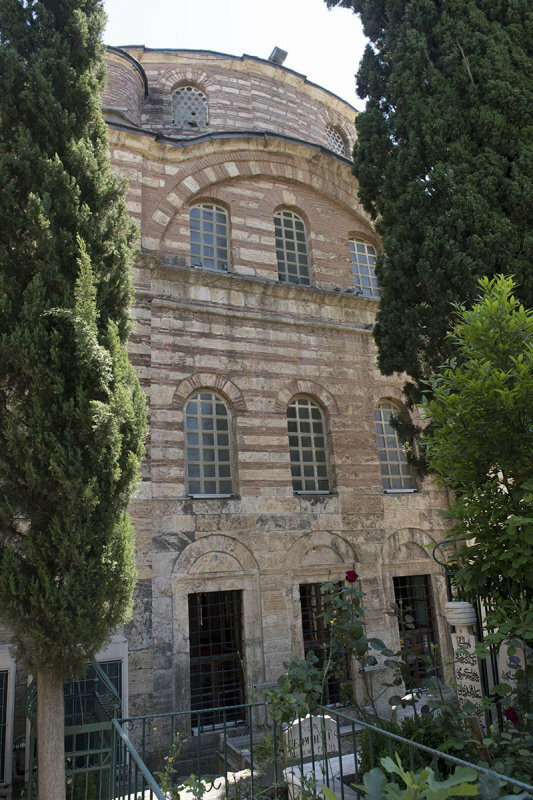 Its exterior displays a late-Ottoman Classical style. The facade on this picture even has slightly post-Byzantine looks. Which is not surprising since Greek (and Armenian) architects had prominent positions in the building business of the Ottoman Empire in the 19th century.